Dear Steemians and BuildTeam Builders; here's to a hard year almost passed and to a future yet to be seized! Thank you all for hanging in there through the rough and continuing to provide hope and positivity to all, including me! Here's to a team that has been building, motivated by passion instead of reward, who are not only colleagues but dear friends. May 2019 be a year of growth, community and unity. I joined Steem in 2016 with a childlike sense of wonder that anything could be possible together, as a community, I still haven't lost sight of that. No matter how dark things may be, how hopeless or myopic, despite the adversity we may perceive, there is always hope and as long as extraordinary people remain standing, sweating and building, motived by passion, the future is indeed hopeful. 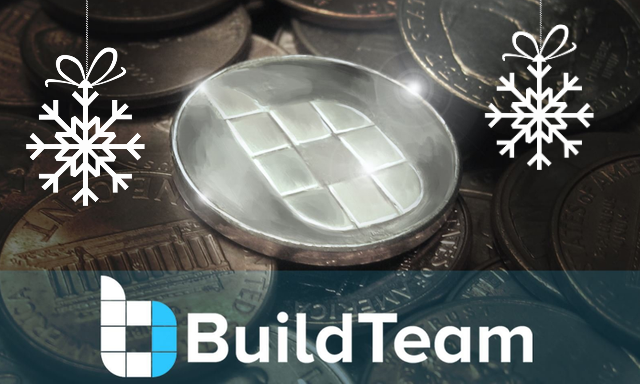 In 2019 BuildTeam will regroup after some well-deserved downtime and continue building the various apps which make up our brand. Below is a broad overview of some of the milestones we wish to achieve in the New Year. Perhaps this is the one project that may help garner mass adoption on the Steem blockchain, imagine Steem rewards powered forums pervading into every facet and every genre from gaming to business forums. TokenBB stands a chance to rival Steemit.com's #1 app position on app ranking sites, purely by the sheer volume of custom branded forums that will be possible. We intend to launch an MVP (Minimum Viable Product) by the end of Jan 2019 and continue building out from there until we have a polished and externally marketable product. Please follow the @tokenbb Steem blog for more updates to come. GINA is perhaps the most underestimated app in our arsenal; currently, GINA has around 8000 registered users, of which 3000+ are verified as unique Daily Active Users (DAU) due to the fact that they click on hyperlinks served by GINA's notifications. A fair amount of the balance of users are likely to be active notifications consumers as well but just might not be clicking on links. In 2019 we hope to make GINA more appealing and bestow her with some personality traits in her communication. We are also looking at the idea of incorporating API's of disaster alert services for incidents such as earthquakes and tsunamis, some people battle to make use of public alert API's and services so hopefully GINA will be able to streamline this and make it easy to receive early warning alerts, if GINA saves just one life, it would have been a worthwhile feature to include. GINA is currently not a monetised service and is not revenue generating for the BuildTeam stakeholders, we plan to look into that matter and have begun playing with an ad server to push discrete and topic relevant ads across our services, including GINA. Users may in the near future receive one ad per day to support GINA's development while simultaneously promoting key Steem apps that wish to participate in the ad program. Minnowbooster.net will undergo a facelift during 2019, it's not a priority but will certainly be a nice-to-have. We will ensure the service becomes easier and increasingly more user-friendly. We will be focussing on some tools for Steem Monsters users and will decouple the Steem Power leasing market to a new service to be branded as Dlease, which will facilitate us to then accept both Steem and SBD for post promotion. The MinnowBooster Steem Power leasing market has to date facilitated over 18 Million in Steem Power leases so we feel it is time for it to come into its own and become a standalone product with a brand that is externally friendly with financial market appeal, we are busy revamping this service and aim to market it externally as a service that provides stable returns superior to most established masternode alternatives. We have taken steps to produce a new version of Steemvoter that uses SteemConnect user authority rather than storing posting keys like version 1.0 of Steemvoter, the new version can be seen on https://beta.steemvoter.com and has great new trigger options and voting guilds to help bring together communities. We aim to develop Steemvoter further and create an import tool for current Steemvoter users to port across their accounts and rules. In addition to this, we aim to add some voting thresholds to preserve your valuable Steem Power and generally improve and add granular controls for different aspects of your curation automation requirements. The Steemvoter voluntary guild will be used to help promote partner content and build alliances with exchanges, merchant solutions and any other blockchain services that could potentially integrate Steem. So far we have had great success in getting Steem listed on @paytomat through the Steemvoter promotion partnership initiative. We had hoped to develop SteemSports into a Sports centric Steem frontend, much like what Scorum has done, except on Steem and not a fork of Steem like Scorum. Eventually, an SMT would work well with SteemSports. We believe that our domains steemsports.com and bitsports.io can be used for this purpose and could potentially be lucrative from an ad revenue perspective as sports advertising is very prolific and a huge income generator, our only hurdle is finding a developer with a passion for sports to take this project by the horns and make something happen. If you are a React/Node.js developer and love sports, we want to hear from you, please contact me, @thecryptodrive on Discord. Techinvestor.io is not something that we have openly shared much about as yet, basically it is a news content aggregator which we are playing around with that pulls content from online blockchain sources and Steem blogs that we may think are appropriate and newsworthy. We have integrated an ad server into this product and will eventually be able to sell banner ad space once we are happy with how it is working. We will also soon integrate a mail server and use this as a platform to disseminate BuildTeam updates and global crypto news directly into the inbox of our email database subscribers. There will be lots of opportunities to advertise your apps and services with us so stay tuned! I Look forward to seeing you all still on Steem in the new year; despite this year not being an easy one, my personal mantra is that "first we kneel, then we rise! "; with an emphasis on "we", because together we can rise from anything and overcome the odds to create a bright tomorrow for all. Wishing you all safe and blessed holidays! Visit our website for more! Set it up today and contribute to building a better tomorrow! Get support and connect with us and other BuildTeam fans! Hi there. I've got an idea for a possible investor that you could pitch the virtues of the Steem blockchain to. can you message me in steem.chat? Hi there @buildteam, I am an investor in your buildteam tokens, but haven't been receiving any dividend payouts for the past 2 months. Could you please reply to this message and let me know what is happening? Thank you. Got a payout today. So I guess everything is in order? You set great goal for next year! I hope all of them will be implemented! I wish you good luck! Merry Christmas and Happy New Year to all members of @buildteam! It sounds like plentybof exciting things to come for the team next year! 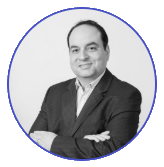 Look forward to the updates and seeing how I can continue to use the services to my growth in the ecosystem! Thanks! You just got a 0.56% upvote from SteemPlus!